David Sera is re-birthing the end-of-season 4-hour endurance race at Todd Rd. The event will be held on Saturday December 8 for 125cc TaG machines (Rotax, X30 or Galaxy engines) on a tyre yet to be determined. Matthew Wall organised the inaugural event in 2007, which was won by Josh Arandt & Daniel Rochford on Arrow/Rotax. 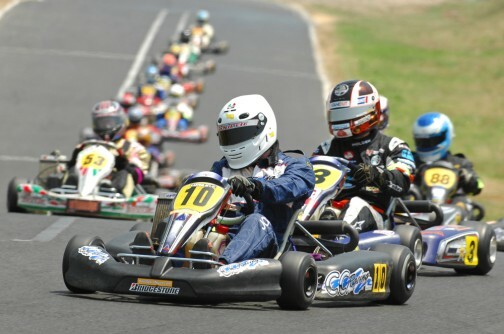 For several years it attracted big fields that included drivers from Supercars and other car categories keen to take on the karters of the time. This year, David Sera, Wall, Leigh Nicolaou and Jace Lindstrom are behind the event’s rebirth and it will have much of the spirit of the original race. Sera has announced there are three current Supercar drivers already confirmed, plus a couple of names from Porsche Carrera Cup. “This will be similar to the race event we held a few years back, so drivers who previously competed in it will know how much fun it was” Sera posted on social media. Teams will consist of two drivers per kart and the field is open to the first 40 karts entered. As per past enduros, the race will run clockwise (ie, up the hill) and the clover leaf (in grid / out grid) will be used for pit stops and weigh-ins. “Once the cut off is met (40 karts), you’ll need to wait until 2019” Sera added.